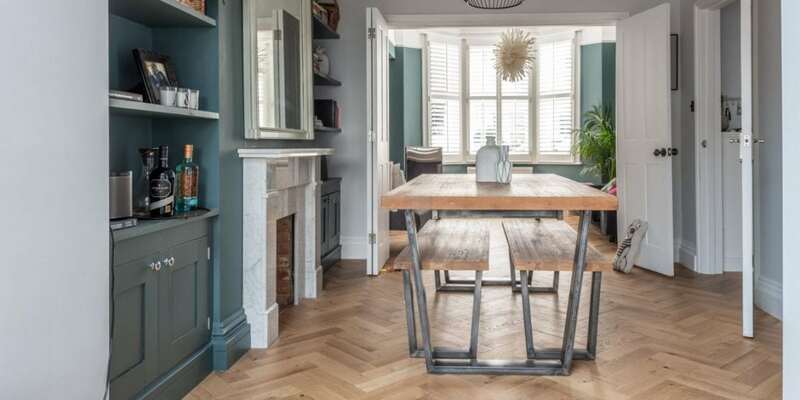 You may have spotted this home featuring on the Channel 4 series fronted by George Clarke, Old House New Home. 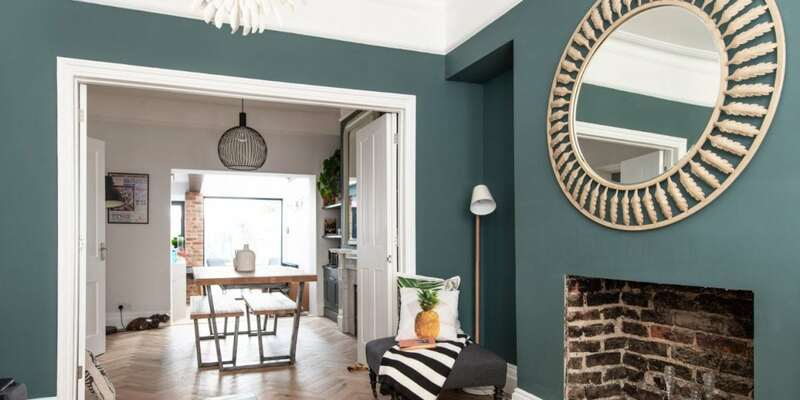 The three storey Victorian era town house belongs to couple Alex and Andrea who loved everything about the home, apart from its very small kitchen. 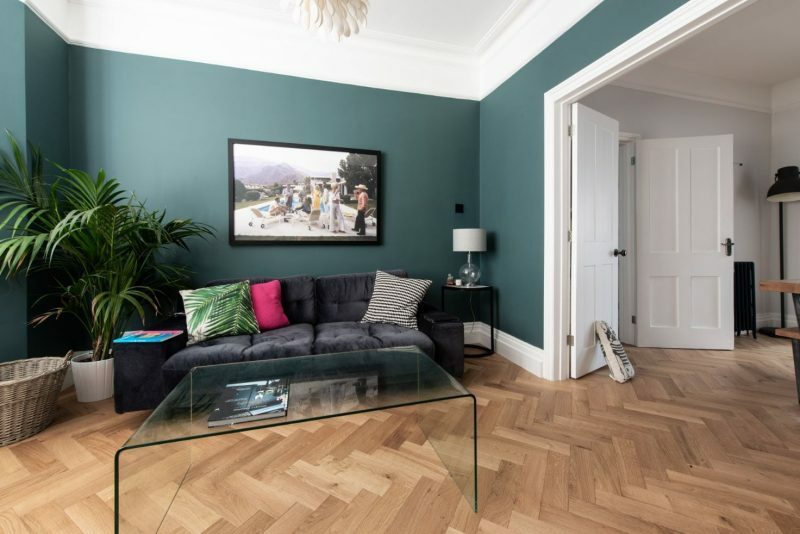 The house was very typical of its Victorian build period, featuring well proportioned rooms, high ceilings and bay windows over its three floors. 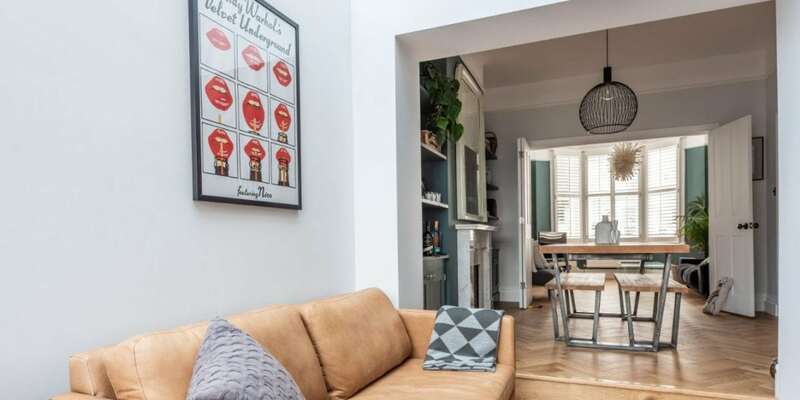 But as often found in Victorian properties, had only a small kitchen shoehorned into the back of the ground floor footprint. 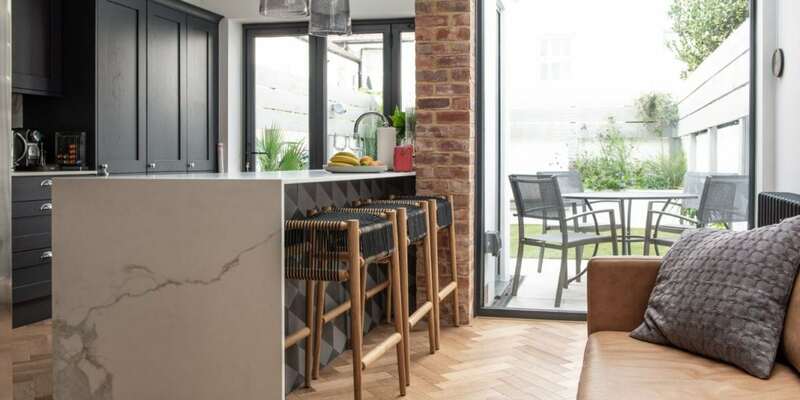 The couple had hoped to get planning permission to complete a full width extension to the rear of the home, giving them one new large space to create an open plan kitchen, dining and family area that would lead out to their garden. 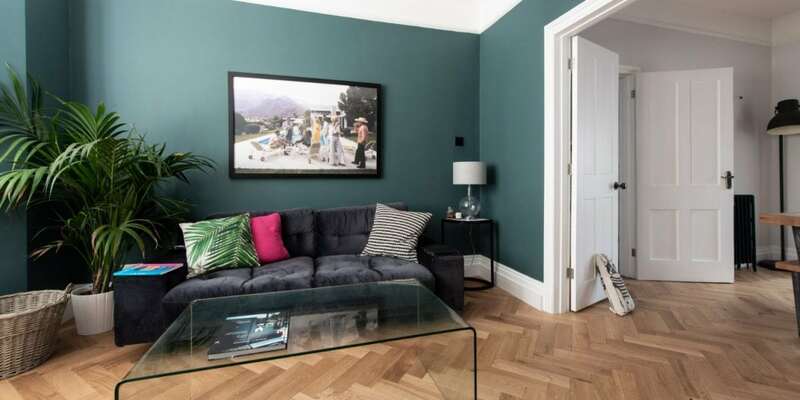 However, tight planning control relating to period properties in the area meant their original submission was refused, and an extension would only be granted on the basis of maintaining the L-shaped nature of the existing footprint when extending the rear of the home. 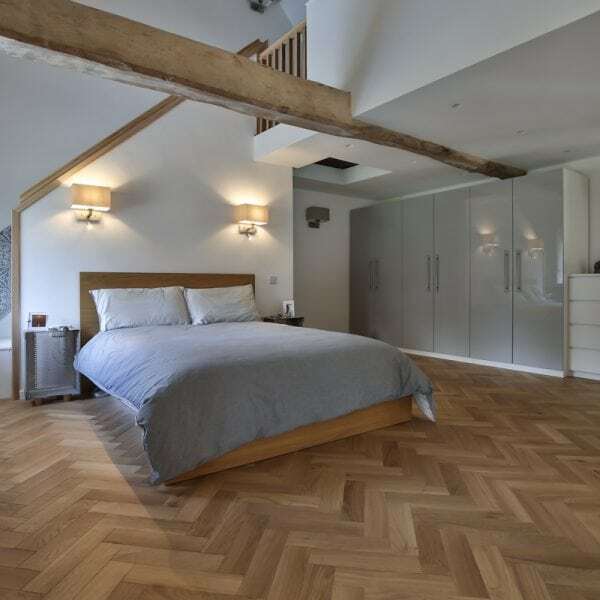 Disappointed the couple were joined by George Clarke, who created a revised interior design so that despite having to compromise on the layout due to the planning rules, they would still be able to create a beautiful and modern open plan space that would link their required zones for cooking, dining and relaxing into one seamless design. 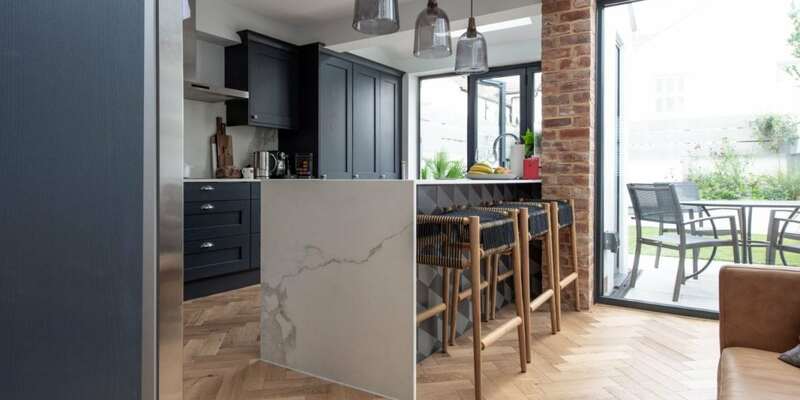 At the top of the couple’s wish list was a kitchen island and the new design focused on creating a central, oversized island that would connect the L-shaped extension walls and bring the living zones together. A modern glass wall and ceiling would counter the shorter extension walls permitted to the right of the space, giving a light and contemporary finish that matched the bi-folds installed to the other side that lead out to the garden. 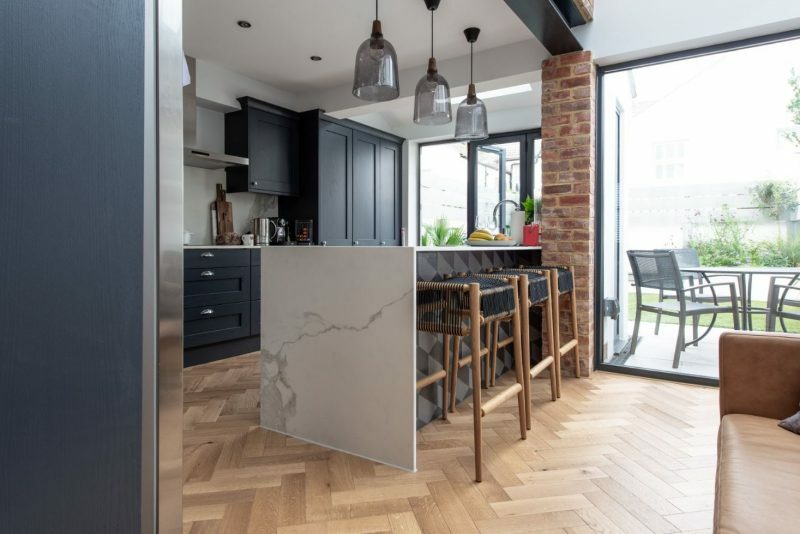 A dark blue Victorian inspired colour was used for the kitchen units, delivering sensitivity to the period age of the home, whilst contrasting with a modern white marble work surface and splashback. 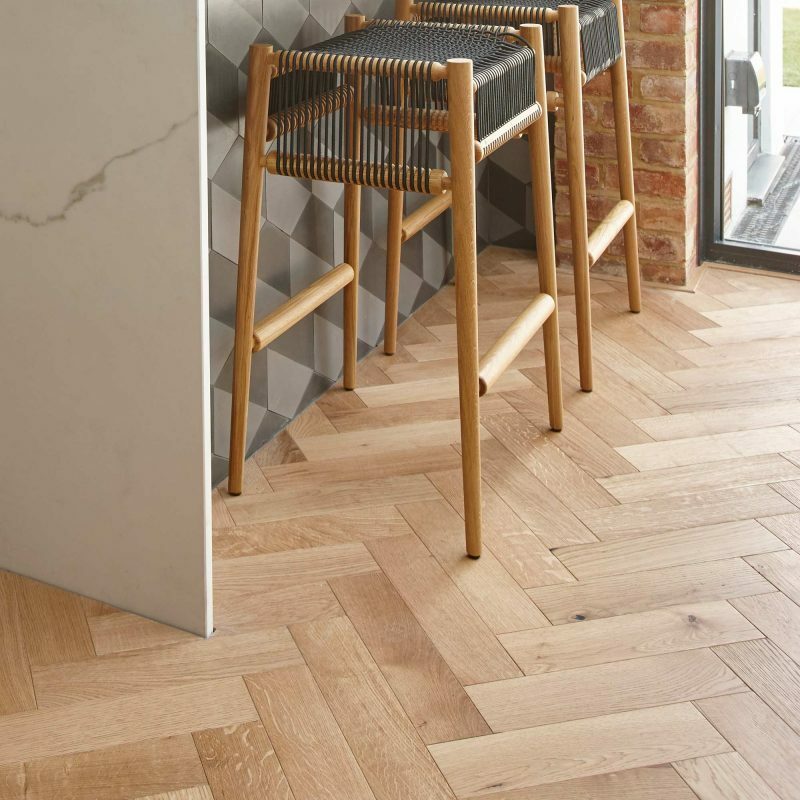 And geometric tiles added to the island add contemporary flair. 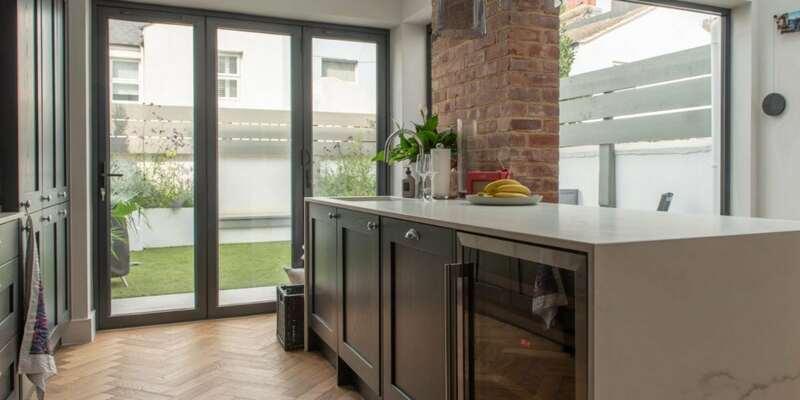 Keen to maintain some Victorian features, reclaimed bricks were used to create the exposed brick wall and steel touches were introduced into the kitchen design. 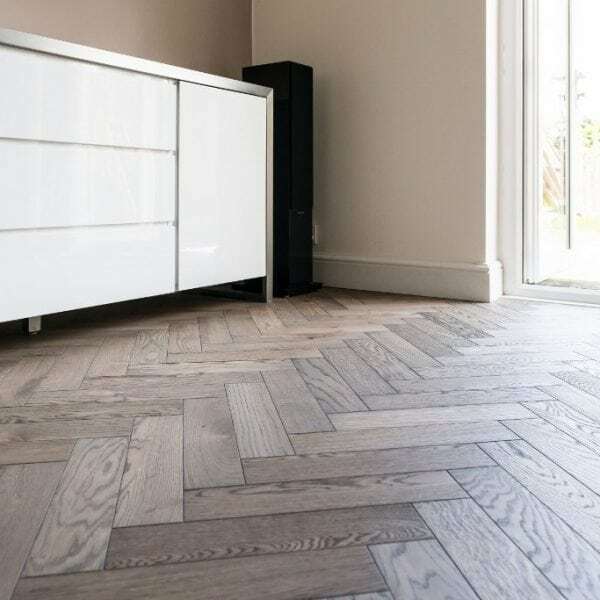 Finishing the textured palette is Zigzag Herringbone Oak wood floors. 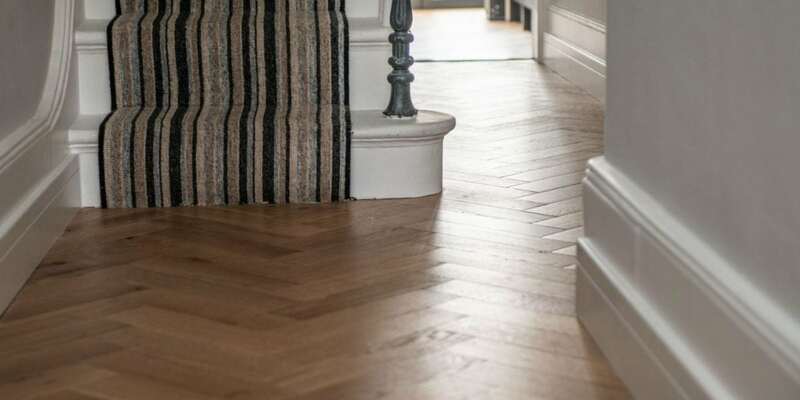 A modern take on parquet, the floors have been installed throughout the ground floor to connect the existing and new spaces seamlessly. 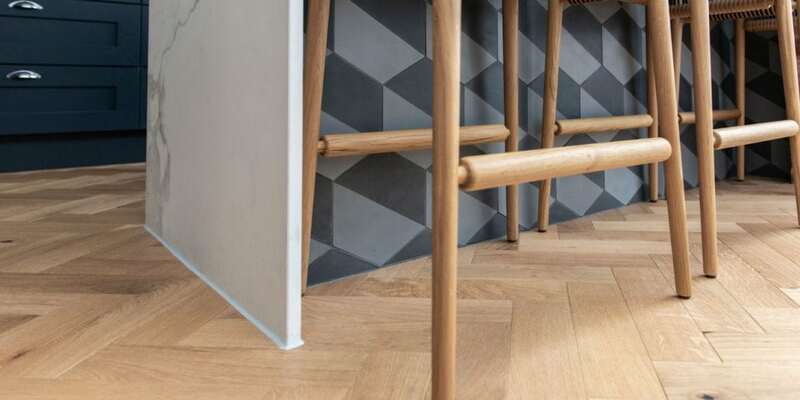 The couple chose Zigzag in Brushed and Lacquered Oak finish. 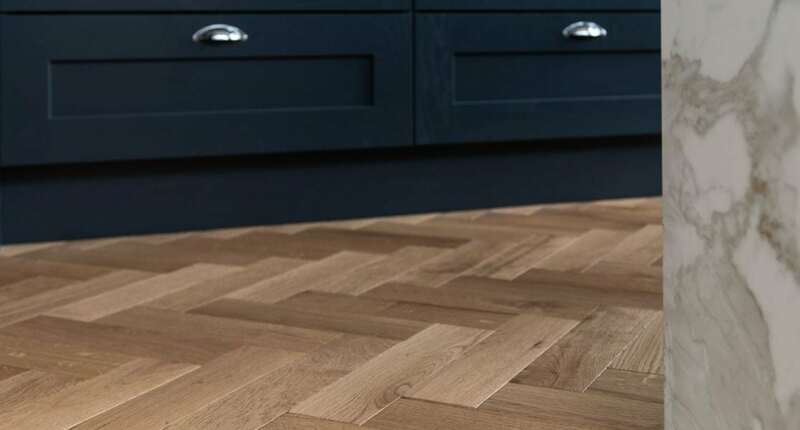 The Natural Oak wear layer is steel brushed to produce a textured surface which follows the natural grain and is sealed with a durable natural lacquer which makes the floors particularly durable for use in kitchen areas. 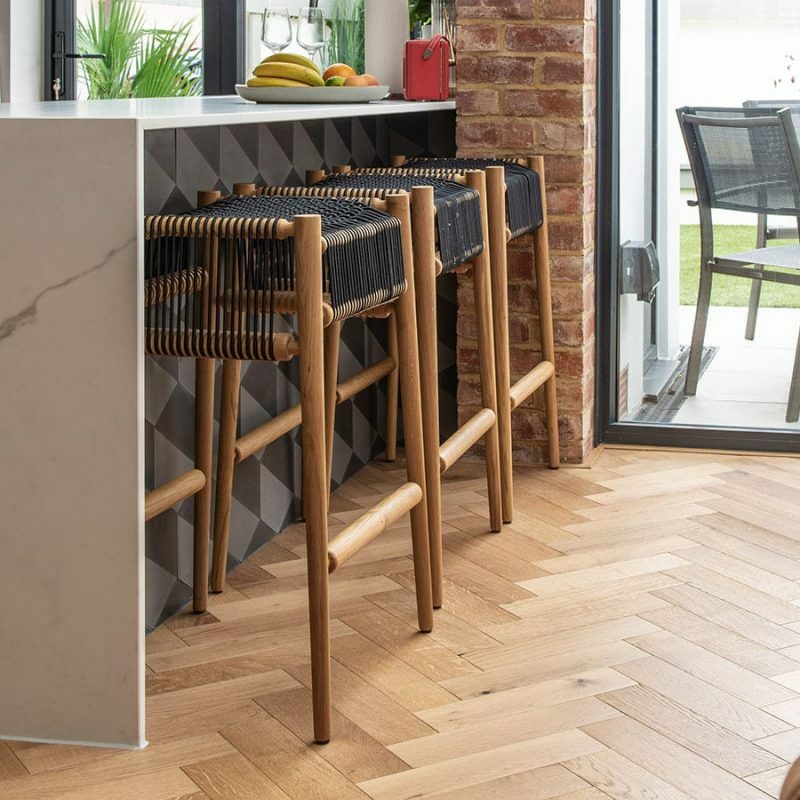 Flowing through from the finished kitchen space, the dining area’s feature fireplace uses the same marble finish as the work surfaces and splashback, adding more harmony to the different zones. 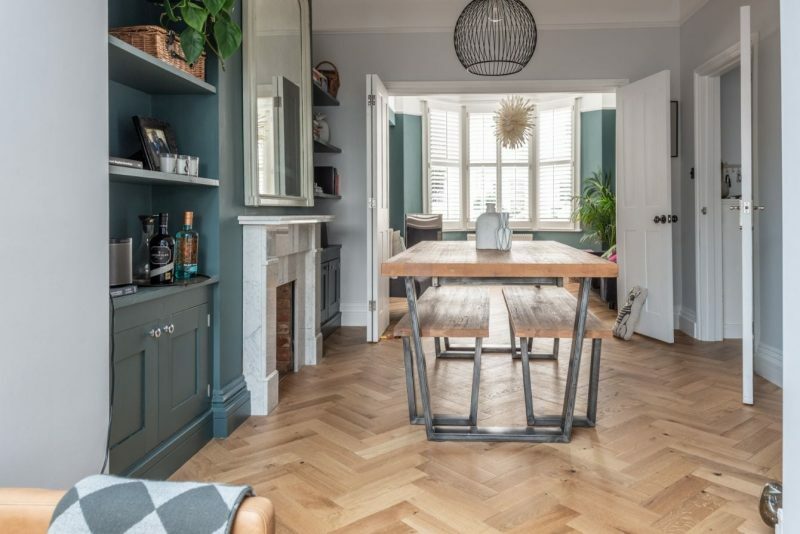 And the Victorian inspired dark blues of the kitchen cabinetry flow into the striking blue-green paint chosen for the walls in the living spaces. 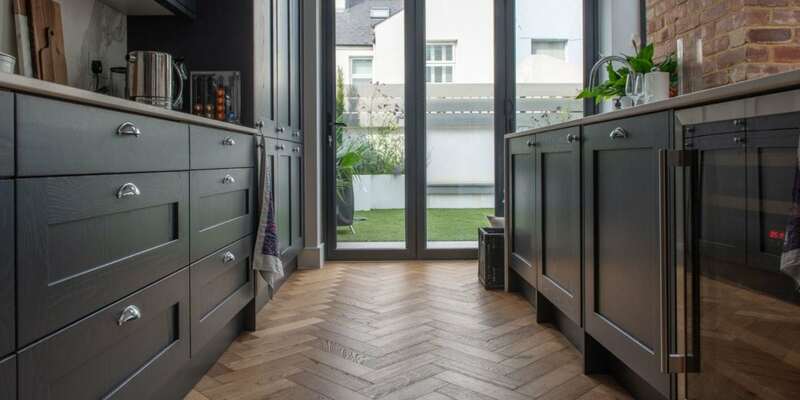 With the dining area doors opened up to the living room the natural flow of the spaces is beautifully accentuated by the Zigzag herringbone patterned floors that run throughout the ground floor of the home. 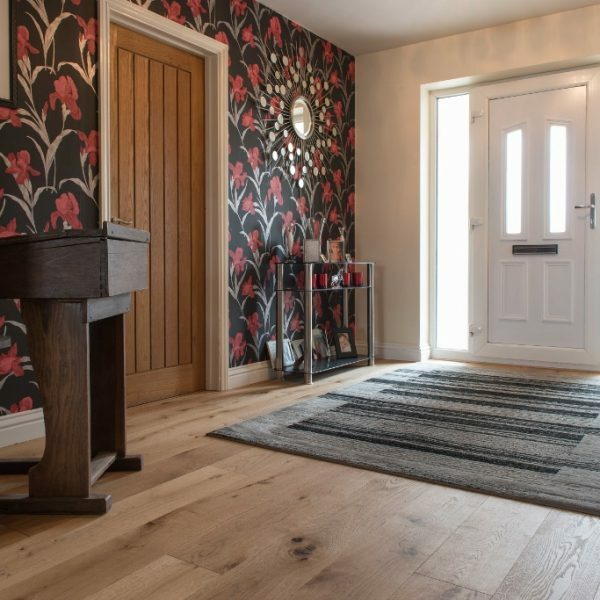 The finished results are stunning. 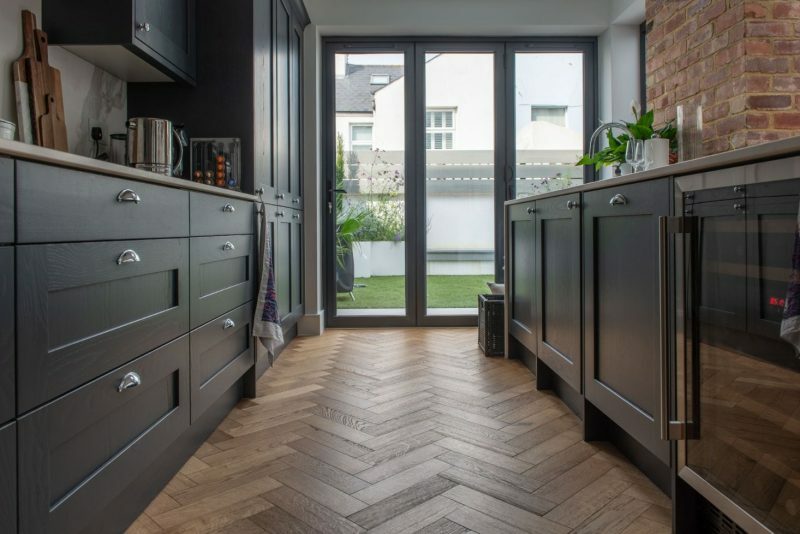 The use of the oversized island, glass wall and ceiling and natural flow of the herringbone flooring certainly results in a design that appears anything but a compromise, instead adding naturally styled interest and design flair to the completed space. 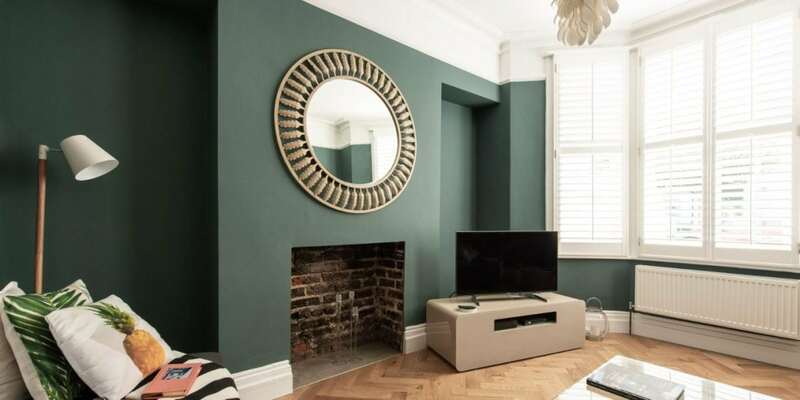 View the project in Episode 3 of Series 2 Old House New Home at Channel 4 on demand.